Ukulele 4 Kids is starting a new series of posts to help you play the ukulele. 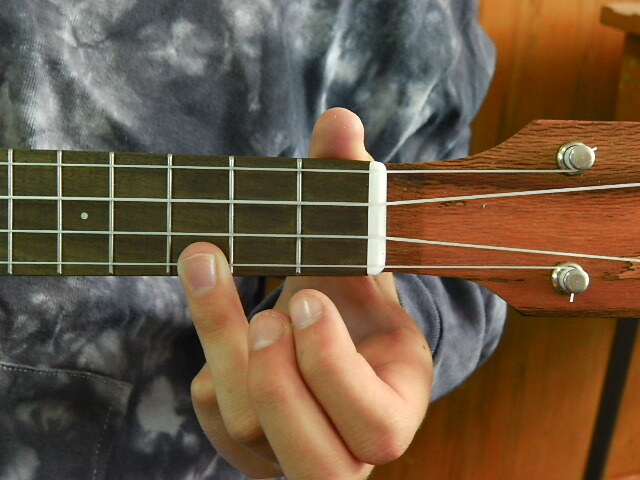 The new series ‘Play a Ukulele Chord’, will show you a chord diagram, a picture of what the chord looks like being played and you can hear what the chord sounds like by listening to the sound file. All chords shown and played on a using a ukulele tuned GCEA. You can click on the ‘Chord Diagram’ and the ‘Looks Like’ photo to make it bigger. Press the red arrow head in the ‘Sounds Like’ cell to hear a C chord played. There are two strums in the sound file. Firstly, a down-down-down-down strum. Secondly, a down-up, down-up, down-up, down-up strum. Each strum is played twice, the second time the strum is played is faster than the first.